Lubbock area of Texas Lubbock area of Texas U-Pick farms: Find a pick your own farm near you in Lubbock area of Texas for fruit, vegetables, pumpkins, organic foods,local produce and more! Looking for a local, pick-your-own farm in Lubbock area of Texas? Scroll down this page and you will see the U-Pick farms in Lubbock area of Texas, sorted by county. Those that offer organic or sustainably grown produce are identified by the words "organic" and/or "sustainable" in Green, next to their name (see "What does Organic mean?"). The U-pick crops they offer follow the name of the farm. To search the page for a specific crop, use Ctrl-F (or on an ipad or Mac, use their "search on this page" function) If they have a website, the name will be in blue and underlined; click on it and it will open their website. If you find anything outdated or inaccurate, see the customer and farmer menus (as appropriate) at the top menu bar to submit updates and corrections and help me keep each current! The Orchard (formerly called Apple Country Orchards) - Apples, apple cider. Comments from a visitor on April 18, 2011: "While they had REALLY good apples, and the gentleman who was riding around in his tractor was very helpful in locating the best apples, the lady who had rung us up for the 160 lbs. of apples we picked and half gallon honey we bought couldnOpen: 't have been more rude to us. Considering we were picking apples with 5 elderly men and women and 4 kids, we were moving as fast as we could go. I have no idea if this woman owns the farm, but we will try it one more time and give them the benefit of the doubt. Maybe she was having a bad day? No matter. The apples are very good and we never mind blemishes as long as they are on a non-sprayed apple and kissed by genuine sunshine! The honey was good. Pure because there was a honeybee floating in the top! Love it! Wish they would have allowed me to bottle my own though as the opening of their 1/2 gal. jar is way too small. All in all, a fun trip for the kids and visiting in-laws!" Lubbock , TX. Phone: (806) 763-0096. 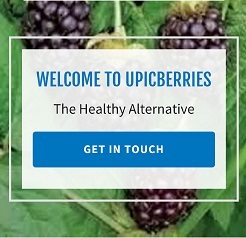 Open: Daily, from 8 am until dark, call before you go; I haven't heard from them in years (the other websites, just copy from me; so don't be fooled if you see this farm onm other websites) . Directions: Call for directions.crop availability: August- December 1st. 66927 Highway 84, Shallowater, TX. Phone: 806-928-1612. Fax: 806-832-5939. Email: [email protected]. 2204 Alcove Avenue, Lubbock, TX. Phone: 806-792-2026. Email: [email protected]. Directions: in city limits, south of the Loop on 19th Street. 12737 County Road 4102, Hermleigh, TX 79526. Phone: 325-673-7431. Email: [email protected]. Open: in 2018, their website is gone; call before you go, they may have closed down. Directions: click here for a map and directions. Stateline and Highway 83, Denver City, TX. Phone: 806-732-8611 Email: [email protected] or Email: [email protected]. Directions: Call for directions. Open: Daily from 8 am to 5 pm. Crop availability Peppers, Peas, Okra and Tomatoes in July.